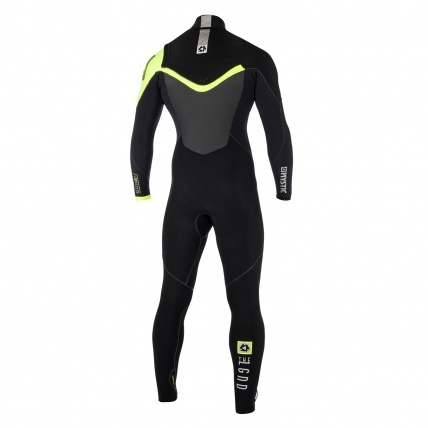 Possibly the most tech-filled, high-end, quality wetsuit on the market featuring Isoprene mesh, M-Flex neoprene and quick dry lining. The Mystic Legend wetsuit combines these quality materials using Glued Blind Stitching and waterproof stretch taping inside whilst using liquid power seams on the outside to stop any water from getting in or out! 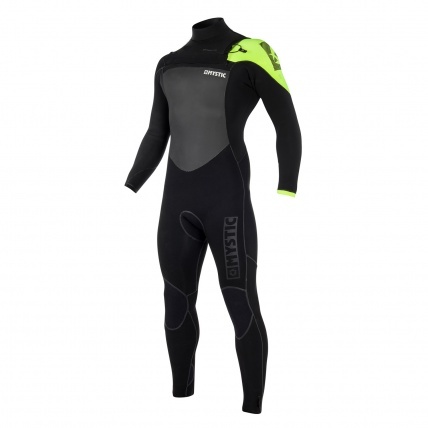 The Mystic Legend wetsuit also features a front entry, PK coated zipper with Glideskin neck construction technology, making an easy-on and secure and comfy fit around your neck. Mystic's Polygiene antimicrobial technology uses natural silver salt to prevent that mouldy stink wetsuits get after use whilst keeping it recognised throughout sports industries as environmentally friendly. Using quick-dry lining, the Mystic Legend is also designed to avoid those days of where you are forced to put on that dripping wet wetsuit left in the back of your car on a cold day. A highly durable tape is used to line the inside seams to prevent any water from seeping through. With Quick Dry mesh lining you never have to worry about getting into a wet- wetsuit ever again! Whilst maintaining the flexible capabilities of the suit, the overlapping teeth create a tight seal to help prevent any water breaching through. The strong metal puller with a rubber end keeps a tight closure and provides an ergonomic grip that glides smoothly open and shut. By reducing the thickness of the neoprene, it allows the suit to follow the natural curves of your neck creating a more comfortable yet effective seal that acts almost as though a second skin would. With a Glideskin inner lining, this feature helps for an excellent water closure to prevent any water running down your back! Aquabarrier is a silicone printing along the inside of the front zip entry, this is designed to prevent any water from breaching through the neck lining and is printed on both sides of the front zip entry for ultimate effect. Aquaflush prevents any accumulation of water in the legs cuffs or "jelly leg" using perforated neoprene.